Can't stop the seizures in your patient? 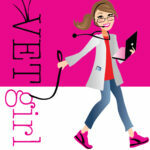 In this 1.5-hour VETgirl, online veterinary webinar, Dr. Bill Bush, DACVIM (Neurology) reviewed the acute seizuring veterinary patient. In this lecture, Dr. Bush reviewed 3 critical questions that must be addressed when evaluating a seizure disorder: is the event actually a seizure, is there an identifiable and treatable underlying cause for the seizure, and when and with what anti-epileptic drug should you treat the seizure? Novel EEG research, a useful review of the current clinical epilepsy literature, and many tips from years of clinical practice and teaching were discussed during this lecture. Trying like crazy to log in for this webinar…prepaid as a new elite member and registered. I can get the powerpoint slides, but I am not finding you LIVE?! Did you register for the webinar? You have to CLICK ON the registration site, log on, and you’ll get an email to log onto GoToWebinar. as a elite member can I skip the pretalk where you discuss the benifits of membership? Also, can I use my ipad to view webinars since I need to take the quiz? Yes – you can both fast forward and rewind as well as use the iPad to view and take the quiz. Why is the link for the quiz missing for this webinar? If it is missing, you have likely taken and passed the quiz already. Your certificate is saved in your profile. To view and print it, log in with your personal account. Under the Membership menu bar, subcategory My Account, there will be a link for “My Quizzes.” You can access and print them out here.